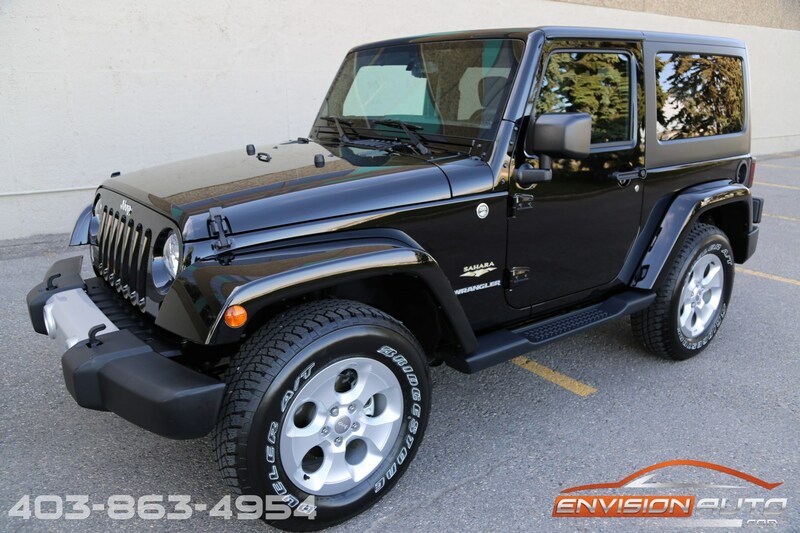 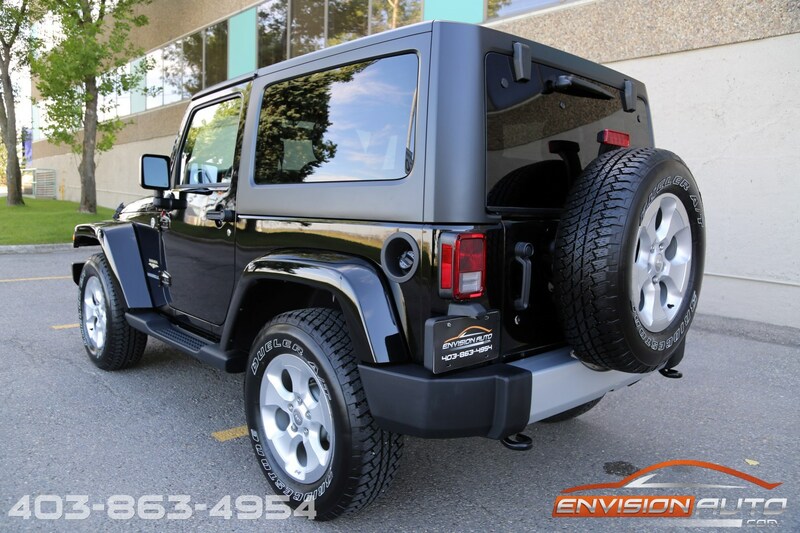 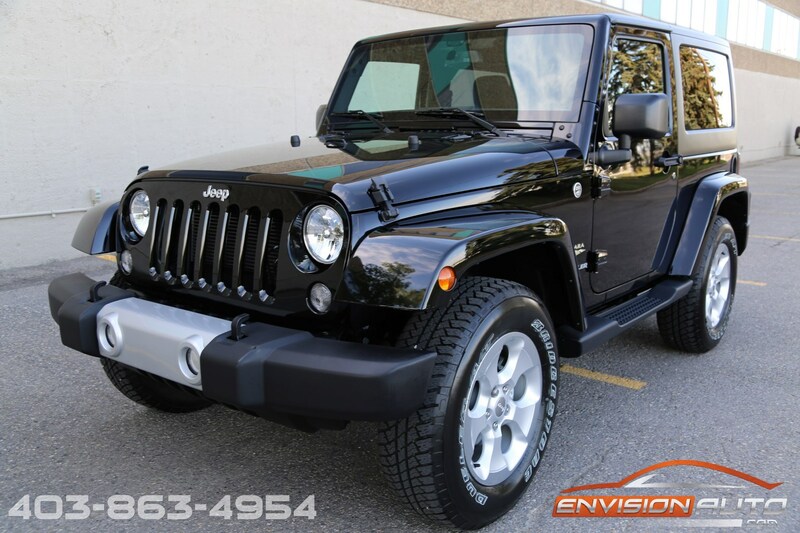 2015 Jeep Wrangler Sahara 4×4 – 2 Door – ONLY 3,100 KMS! 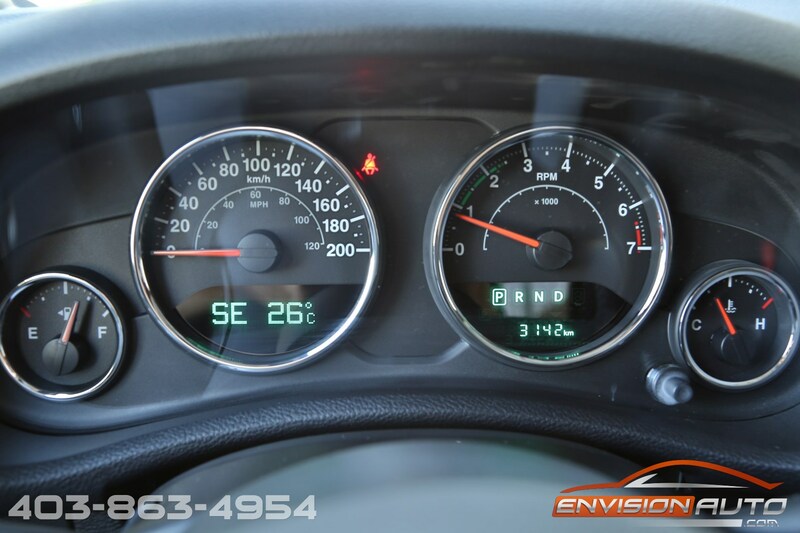 -> ONLY 3,100 kilometers – New Car Smell – Nubs still on the tires! 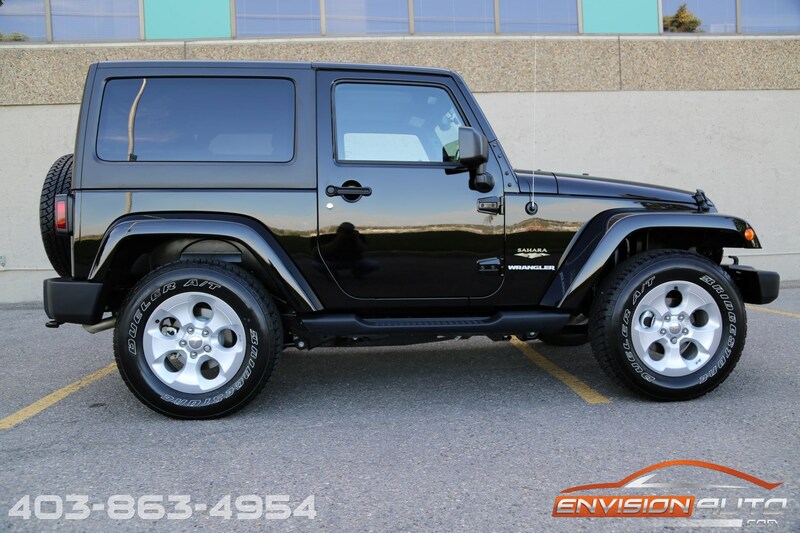 More Details : – SINGLE LOCAL CALGARY OWNER – ONLY 3,100 KILOMETERS – 100% “NEW” CONDITION – NEW CAR SMELL! 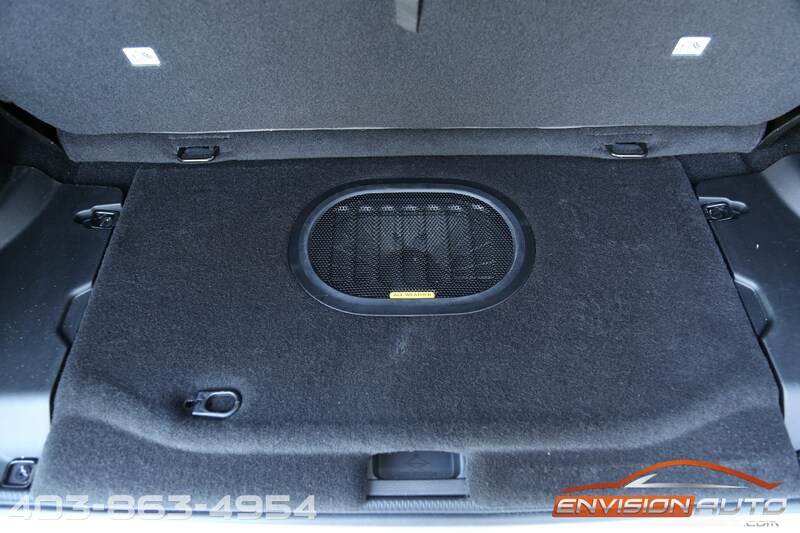 100% SPOTLESS CARPROOF REPORT! 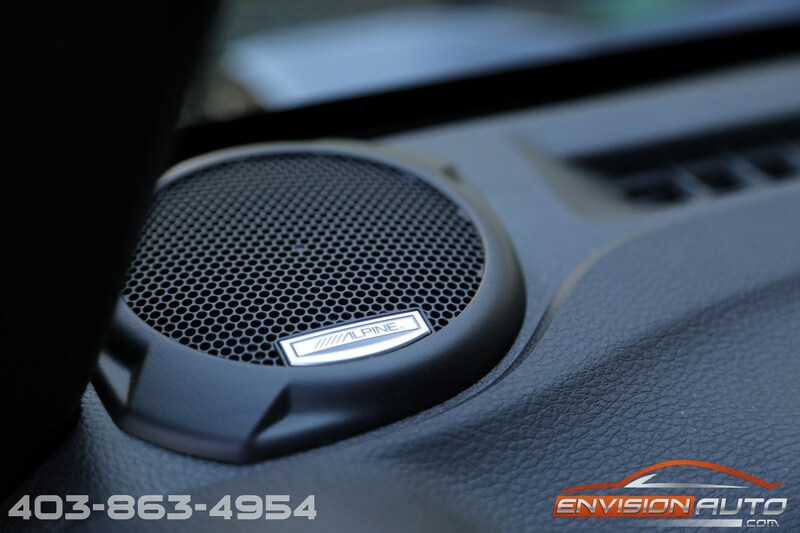 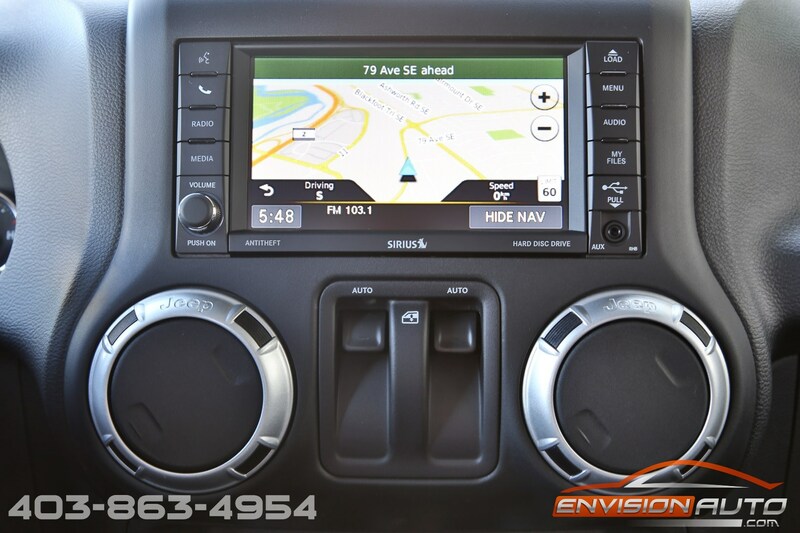 NAVIGATION – ALPINE AUDIO – FACTORY REMOTE START! 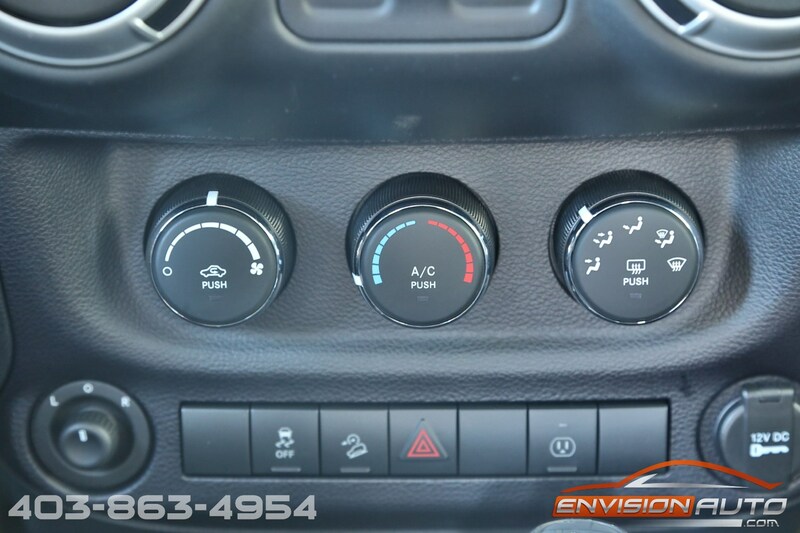 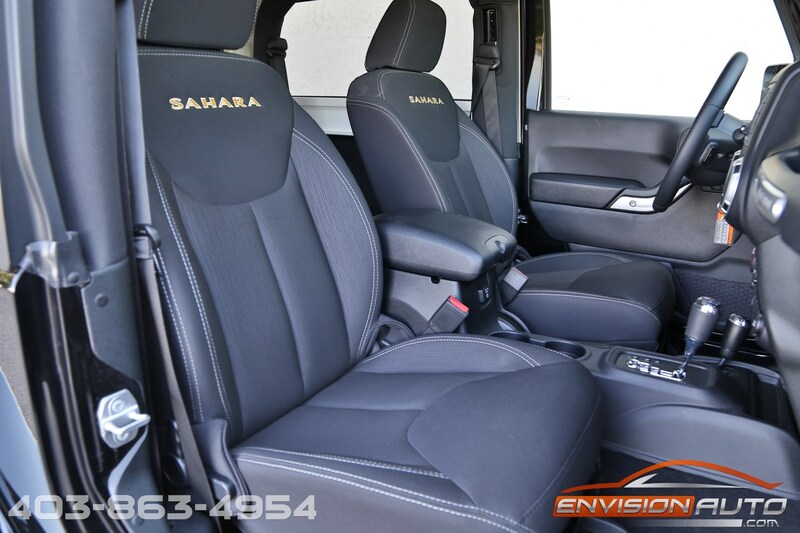 Absolutely immaculate – inside, outside, and underside! 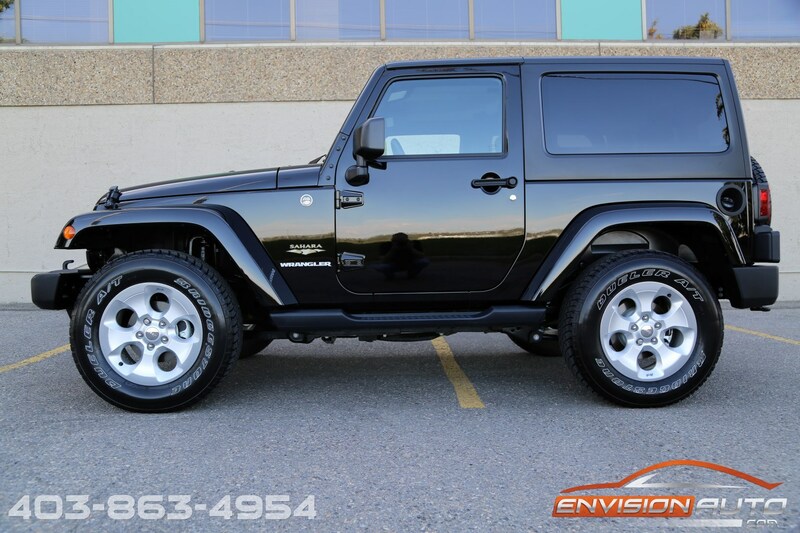 If you parked this on the new car sales lot you would think it was brand new – with only 3,100 kilometers the tires still have nubs on them!! 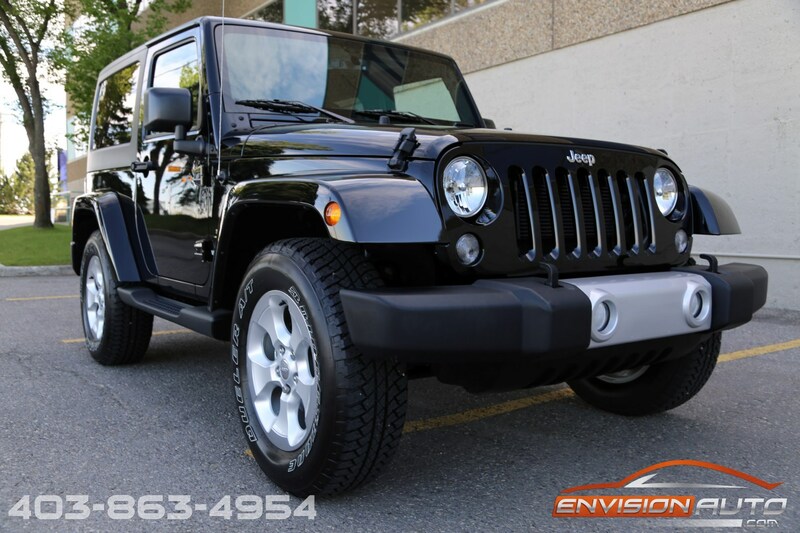 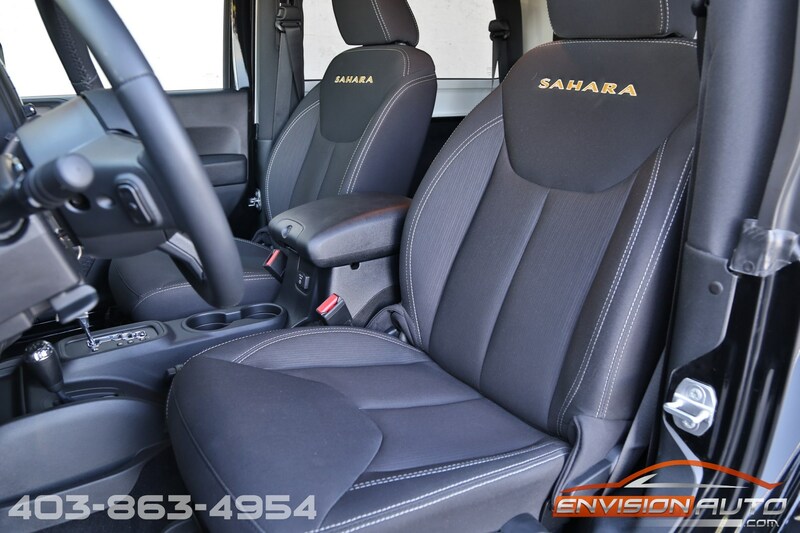 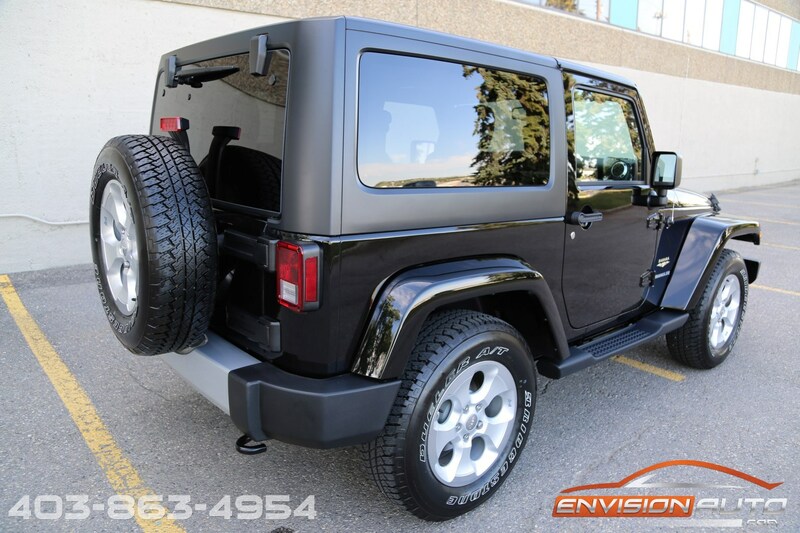 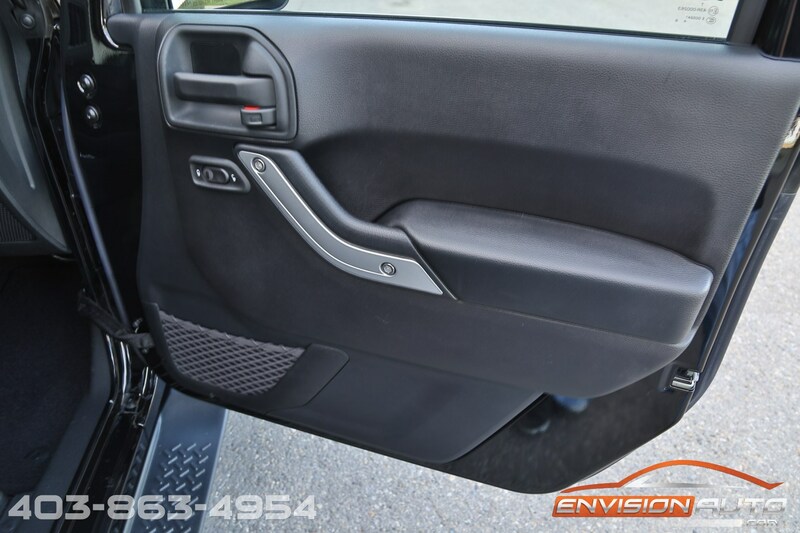 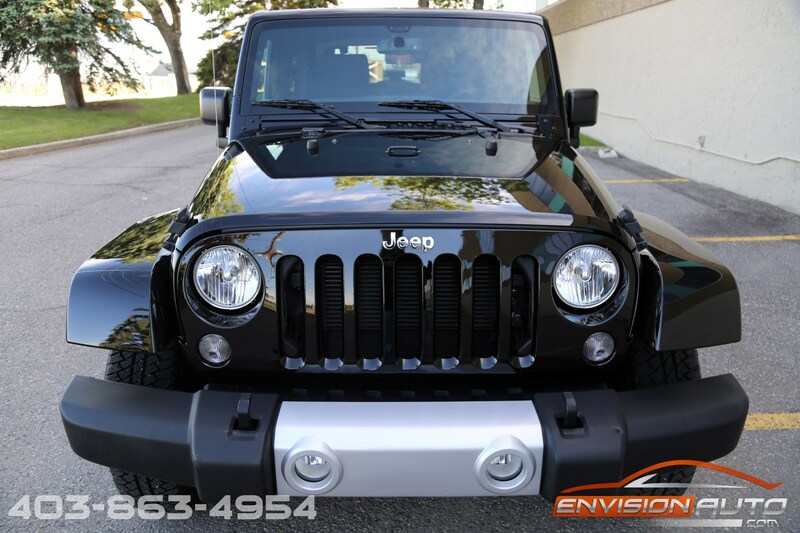 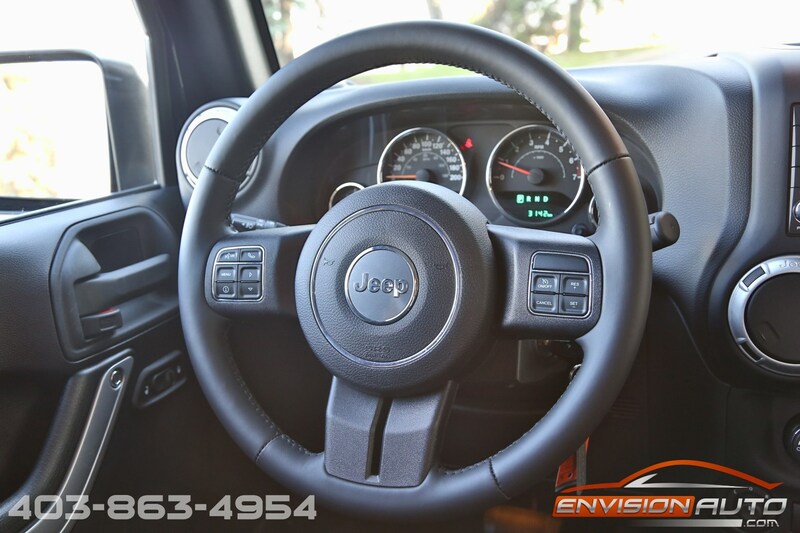 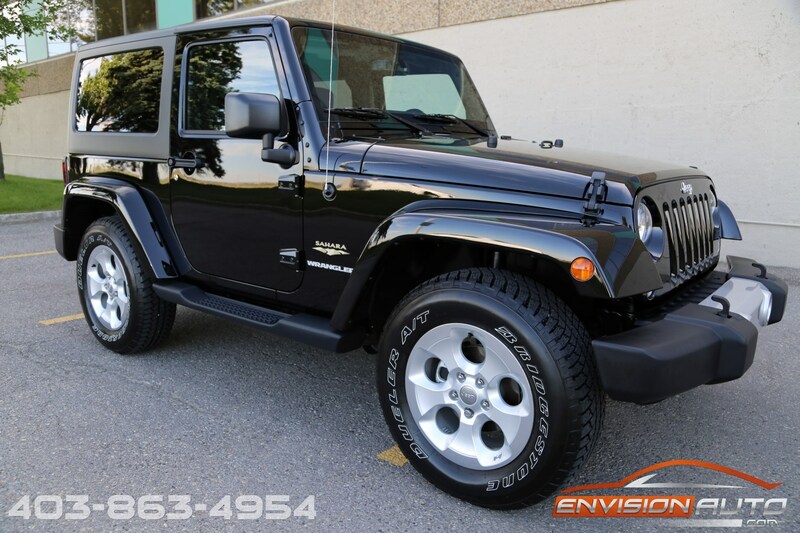 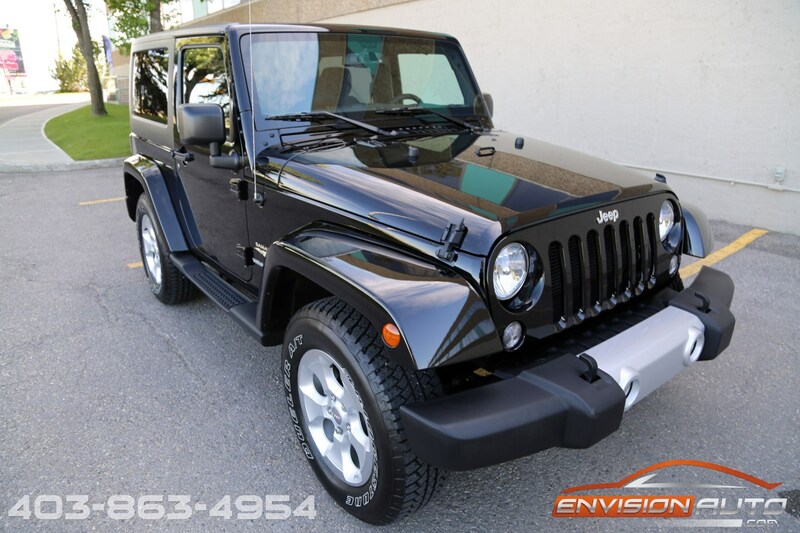 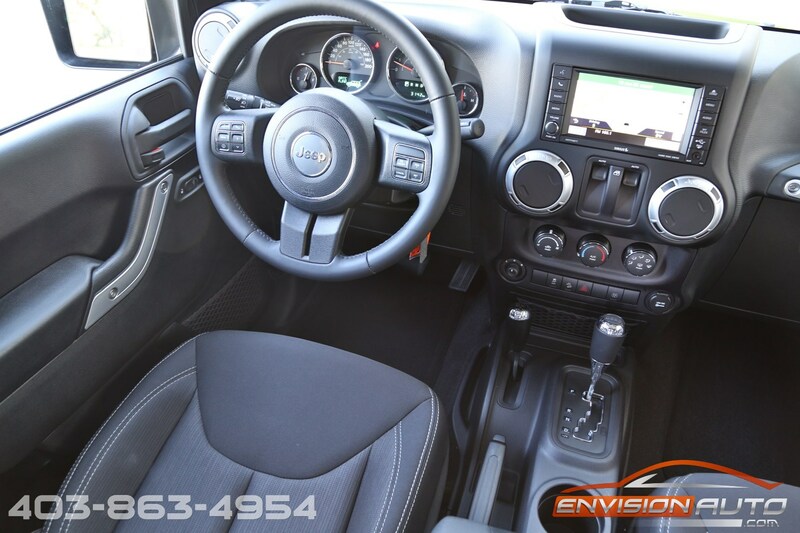 100% spotless in every regard, indistinguishable from new and still having that new car smell, this is your chance to buy as close to new 2015 Jeep Wrangler Sahara as you will find. 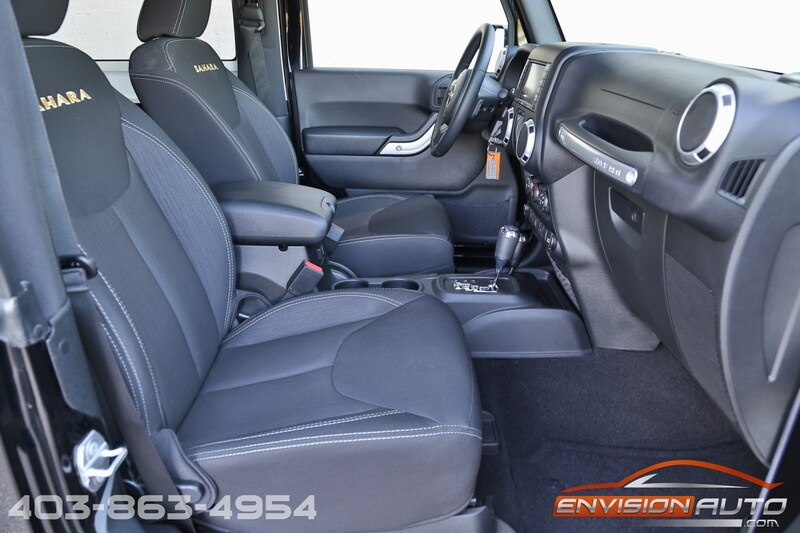 100% Accident Free – 100% Clean CarProof History Report. 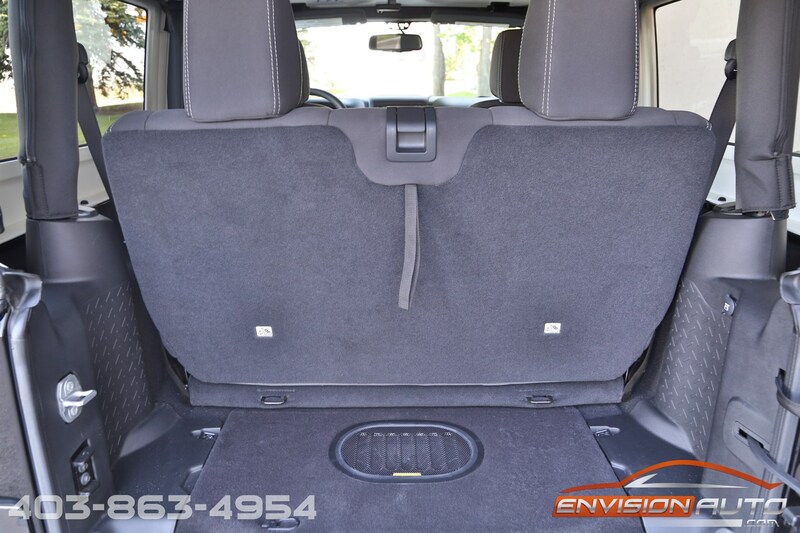 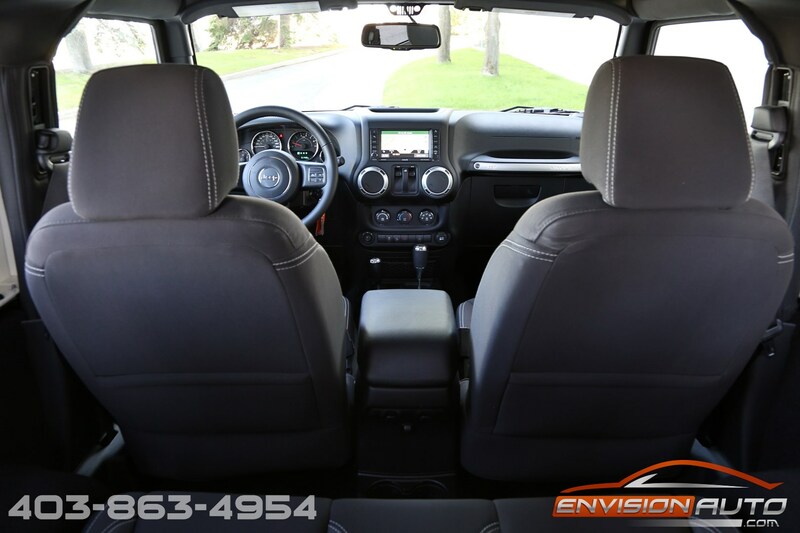 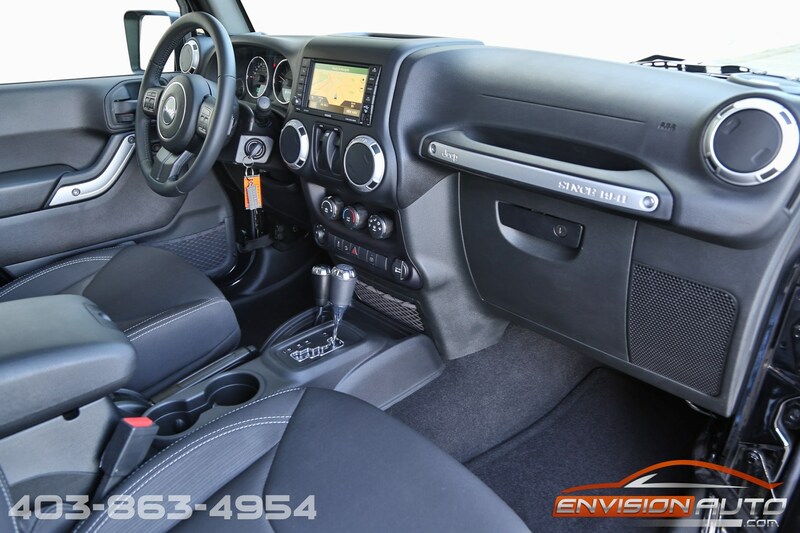 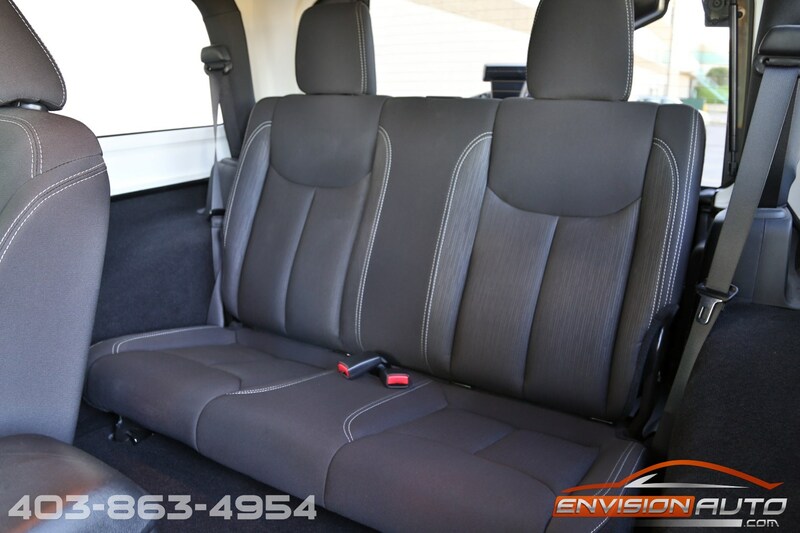 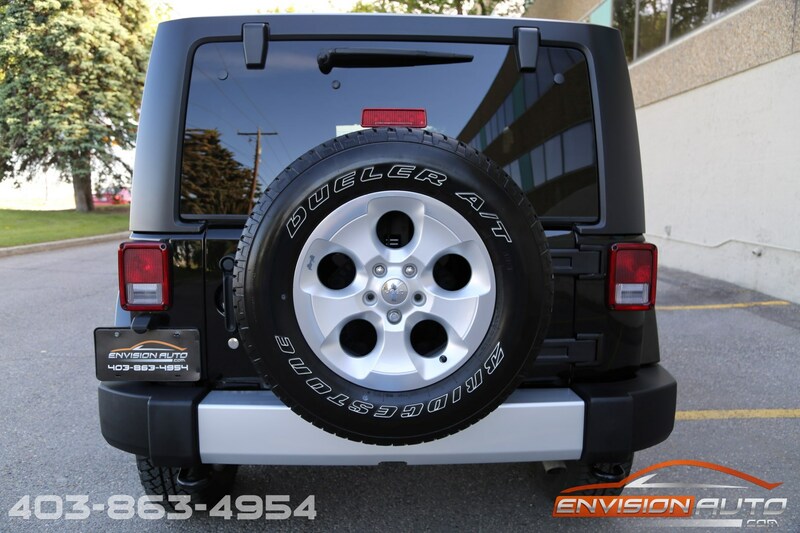 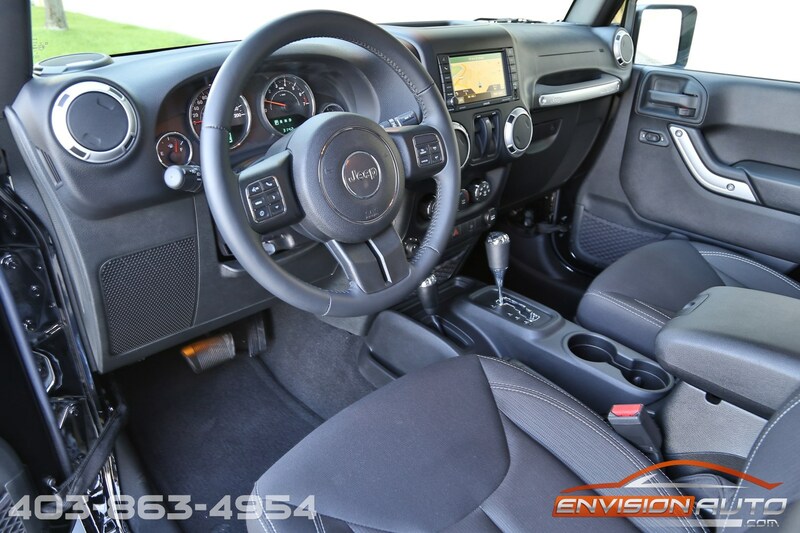 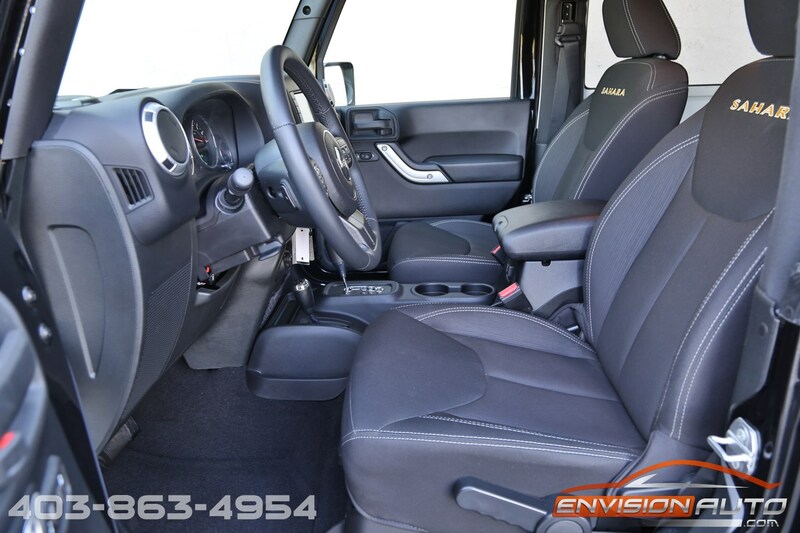 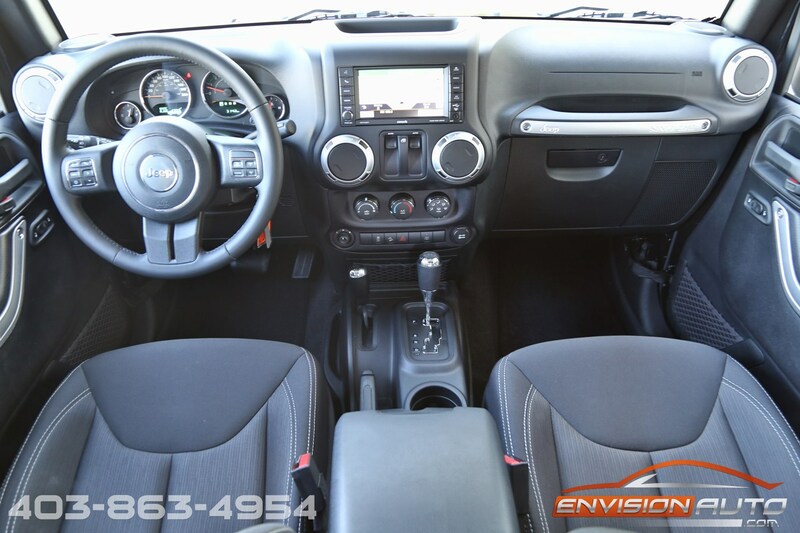 Loaded and Spotless – you have found the cleanest 2015 Wrangler on the market! 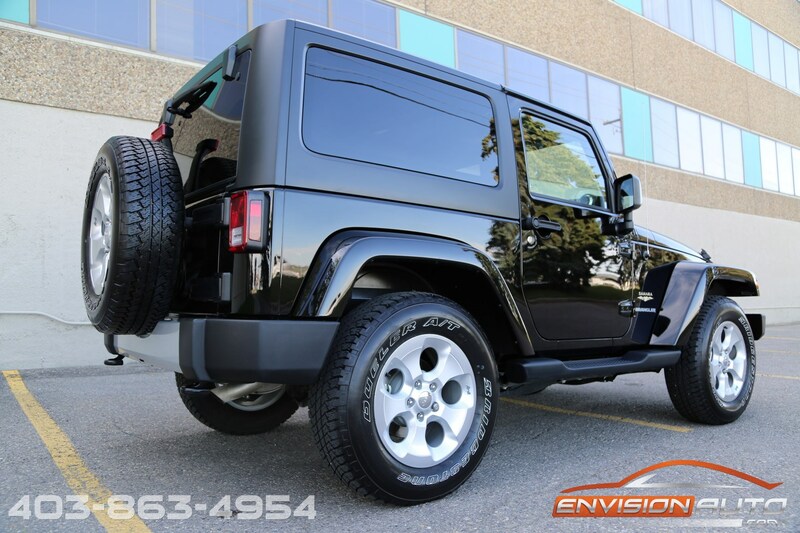 Black exterior with painted front grille and fender flares. 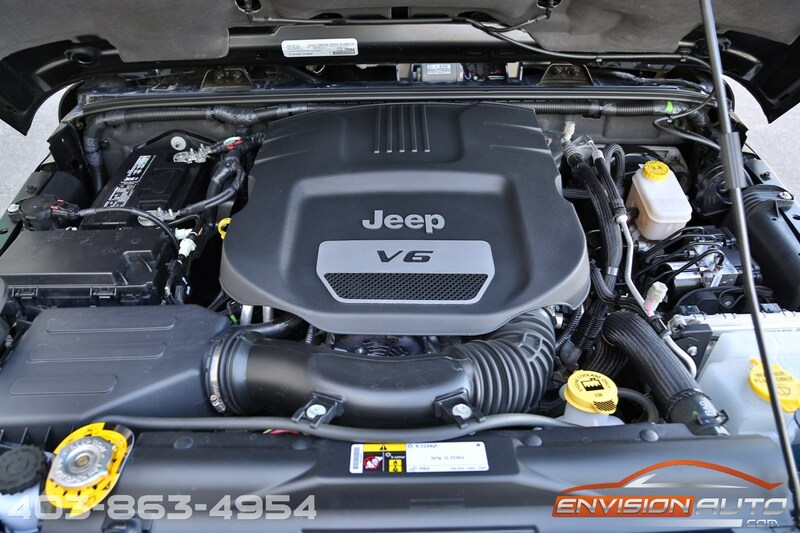 3.6L Pentastar VVT V6 Engine Mated to the Automatic Transmission. 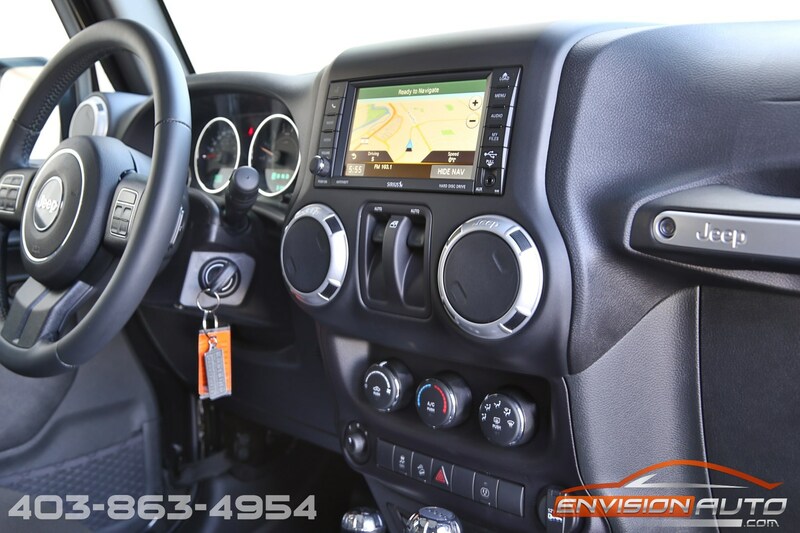 Loaded up from the factory with options including Alpine Premium Audio System, Uconnect navigation with 6.5inch touch screen display – 40GB Hard drive, sirius satellite radio, uConnect phone with voice command, remote USB port, air conditioning with automatic temperature control, power mirrors, power locks, power windows and much more!